Happy New Year from 1844 House! 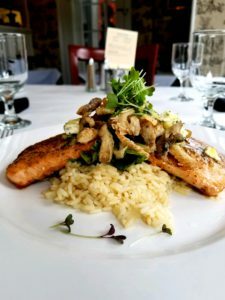 Since we opened in 2006, we have finished our year with special menu items that reflect my love for classic European and American cuisines and my training under 3 ACF Certified Master Chefs (1 American, 1 French, 1 German). One of our traditions is to make this classic dessert. It remains one of our guest favorites and we are so happy to bring it back again this year. 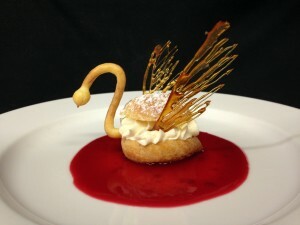 A Grand Marnier mousse filled cream puff swan swimming in a pool of raspberry coulis. Happy New Year from all of us at 1844 House. We look forward to spending many more special occasions with you in 2016! 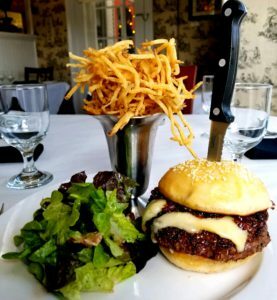 Tuesday - Saturday 4:30 p.m. - 9:00 p.m.
We are proud to be St. Lawrence Counties premier "Farm to Table" restaurant. 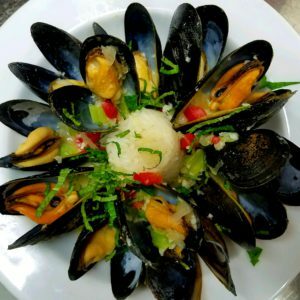 Since opening our doors nearly 10 years ago (2006); our focus has been on creating a community bistro with a menu that showcases the finest local ingredients available to prepare each dish. We are committed to using local sustainably grown produce and meats whenever possible. Since 2006 the 1844 House has purchased more than $175,450.00 in food from our local farms. 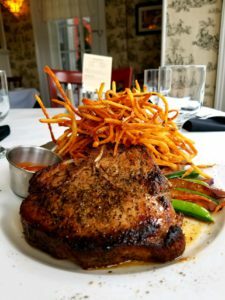 It is very exciting to see that we have inspired so many of the newer restaurants in the surrounding communities to embrace our philosophy of supporting our local farms. Buying fresh local food is not a culinary trend. It is an age old tradition of professional chefs and their commitment to provide the most delicious, nutritious and wholesome foods available, prepared in creative ways. It is also part of our commitment to encourage our guests to eat seasonally and support the local economy. mint (3 types), sage, oregano, a variety of edible flowers, rhubarb, raspberries, apples, bay laurel, & garlic. We have installed 6 new raised beds in the back yard so that we can expand our production during the 2016 season! 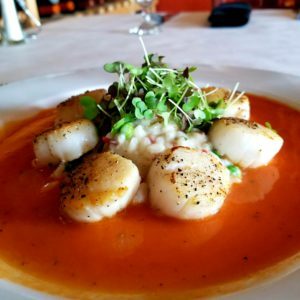 We are a "Bistro" style restaurant. 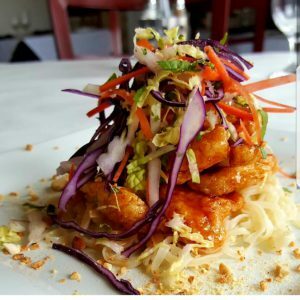 To us, that means we are here to serve the people of this community the best quality food possible, with genuine hospitality in a comfortable atmosphere. Our meals are prepared to order, from scratch. We make every salad dressing, crouton, soup, sauce, dessert, etc. right here in our kitchen. Along with cutting our own steaks and fish filets. 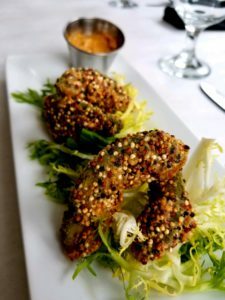 This is not a fast paced restaurant; our cuisine is served in courses so that you can enjoy each dish served. In addition to our seasonal menu, you can expect a complimentary hors d oeuvre to begin you evening, a freshly made sorbet to cleanse your palate before entrees are served, and one of our signature house made chocolate confections to finish your evening. 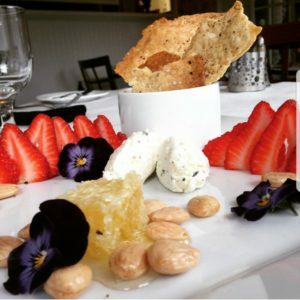 This is a place for people who enjoy spending an relaxing evening "breaking bread" with family, friends and neighbors with a quality craft beer, professionally prepared cocktail, or a great bottle of wine from our Wine Spectator Award winning wine list.